Seeing that next week, following Memorial Weekend, marks the beginning of the Summer season, I thought I would begin my research into appropriate brew selections. Of course, IPAs came immediately to mind followed quickly by what's termed, "session" IPAs, lower in abv but not in flavor. While I continue my research, here's a good article and list of some you might not be familiar with. "This is an India Session Ale, which means all the hoppy goodness of a legit IPA, but with less alcohol. Huge citrus and floral aromas greet the nose from the stacks of Citra and Cascade hops added toward the end of the boil and in the whirlpool." Now that's what I call "hop forward!" My experience with this style has been very satisfying from a hop lovers point of view. These Ales are being made with no decrease in flavor and intensity while keeping the abv down. Great idea and I think the craft brew enjoying public is responding. Now, if we could only get Lagunitas to make Daytime a year-round brew! 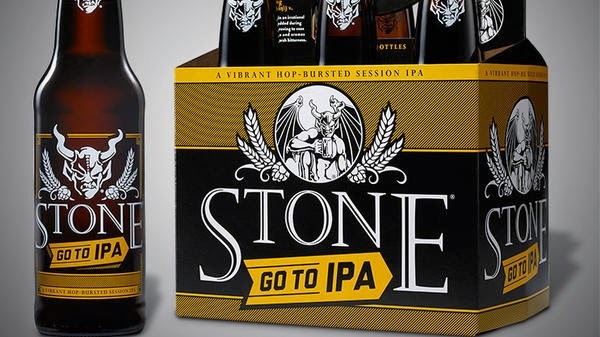 Yet to try this, but I like anything by Stone. Whatever you choose, hoppy sipping!